If you would like a free room thermometer please provide your details below. Please use the form below to contact me and let me know what you like about Caron Cares and more important if I am missing something. sorry for the delay. I will get these to you ASAP. Hi, I work for the Estates department at the John Radliffe Hospital and was hoping you could send us some room thermometers, We do have elderly patients on wards and would like to be able to closely monitor temperatures at bed heads. could you send us 10 please? I did approach the Carbon Trust, but they charge over £1 for each one. I have entered my details 3 times on the screen to apply for a thermometer. Each time I touch the ‘Subscibe’ button these disappear but there is no response to say that my request has been accepted. Please can you give me a telephone number to call. Thank you. I run The Richmond Charities and we house elderly people in need over the age of 65. It would be really useful if we could give everyone a room thermometer. We would need 130 of them please if possible! You have it from me subscribing? sorry to be a pain. Please can I have your address? email me caroncares01@gmail.com and I will get the thermometers to you. You are doing a marvellous job thank you. I would love a temperature gauge. I am near 70 years old and my wife and I have our 42 year old Downs son to care for. I suffered pneumonia 4 times in 5 years. Please could you send me 1 room thermometer for my mom. thank you. I am contacting you on behalf of my client who provides a full service of protocol design to report writing, for almost any type of phase 1 trial, including PET studies and studies with biological products. I was wondering whether you would be interested in a sponsored post partnership with us, since we think this would be a great fit for your website and your readers fit the target market. If this proposal is of interest, then please do let me know how we can establish a partnership, as well as your typical cost of a sponsored post. Please let me know more about what your client does? Maybe send me some links. Thank you. I represent a small Charity offering help and support to older people when they are first discharged from hospital, offering services that the Local Authority is not able to provide, via a team of volunteers. A supply of room thermometers that we could supply to vulnerable people would be extremely helpful and ensure that they are safe and warm at home. I hope you will be able to help us. We would also e grateful for any other helpful fact sheets or similar that we could give to our volunteers that will help us provide a caring and responsive service. Hi Caron! A couple of years ago you did a post on your blog about our business making fabric covers for plaster casts, which was then called ‘Cover My Cast’. We wanted to let you know that we have rebranded as ‘Kuvrs’ and have expanded our range to include covers for a variety of splints and braces, as well as casts. We’ve also added a couple of new team members to the business who are based in Exmouth. We’d love to get in contact to update you on our new products, and maybe see if you’d be interested in doing a post about our new range? Thank you. Hi Gemma, mine tell you the temperature and if it is too cold or too hot. I can send one anyway. Where shall I send it ? I found your blog while Googling around and thought you might appreciate some feedback for http://www.caroncares.co.uk. Most of my blogs are also WordPress so I know a thing or two about them. I really like your metro magazine theme, matches really well with you website’s content. The Indie Flower you are using makes your content really easy to read so good job on that, it really helps the readers stay on your site. I tried to use your Plugin Jamie but it gave me a fatal error message so I cancelled it. I am trying to buy a PIL-BOB, I had one for many years and found it excellent to get my pill out of my pre packed namob without spilling pills on the floor. I am wheelchair bound and cannot walk or stand, I use a mobility scooter to get me round Rosyth. If you can point me to a UK SUPPLIER or get one for me I will be most Greatful. I saw an old post about Pil-bob’s. I work in Social Services in South East Wales and I have been trying for a while to get hold of some Pil-Bobs, I’ve only ever managed to come across them once in Cardiff about 2 years ago, I think they are an amazing thing to keep people in the community independent with their medication. I was wondering if you are aware if there are still places that might have them after seeing your post I did ask in my local Lloyds Pharmacy but no one in there was aware of them at all. Nina – did you see the reply on Twitter? Thank you for your excellent work improving the lives of elderly and vulnerable adults. These are issues close to my heart. I aim to raise awareness about issues that affect people in older age such as Alzheimer’s care and home care options. I have created this infographic to help my customers assess the advantages of home care vs care at home. Please feel free to share it with anyone that you think will benefit. I think that adding this link to your website will be a valuable information source for people making decisions about care. Thank you for contacting me here. I am always happy to collaborate, unlike the attitude of some large charities I feel we can all work together, after all our goals are ultimately the same. I will share London Care on my blog as a post and add it to the resources page. I have just filled in the form and am unsure if I need to request the thermometer here as well? Probably best to give me your address here also as I don’t recall seeing your name. It is safe here. You do such an amazing work. Just thought I would let you know about my latest project. If you feel it’s suitable I would be very grateful if you could share about it. I just wanted to write a book of short stories as I find I struggle to read whole books. Can you let me have your address again please. Hi Caron your page has inspired me to reach out into our local community of elderly people. I am a pharmacy Technician and would love to help our patients keep warm this winter and know what temperatures are correct for them. However i am struggling to get thermometers for them and just wondered if you would be able to help us supply them or find a supplier who isn’t to expensive to help us reach our goal this winter. Also if you know any pages where i can get leaflets on winter health for the elderly that would be amazing. Thanks for your kind message. I have just re-branded Caron Cares and made it much simpler, your thoughts would be appreciated please. I can send you out 20/40 thermometers if that would help. Age UK supply them and I help to deliver them to those who need them. Caron, I have not digested all of your web site as yet but it seems to me to be very interested. I am 84 male husband to my wife who suffers from vascular dementia which has developed since she had triple bypass at Derriford hospital Plymouth in 2013. I am on antidepressant tabs twice daily but nevertheless I become very depressed as in the last 6/9 month she has become very confused with the day of the week or though I have bought her a digital clock/calender but she still prefers to always ask me instead also a friend bought her some yellow roses but this morning tells me they are daffadils. You are localish to me as I am in Exmouth, not a million miles away. I am sorry to hear about your situation, with your wife and the fact that the friends you do have are choosing to stay away. This is sadly very common. You are amazing at 89 to be embrassing social media so comfortably, well done. Do you use Facebook at all? There are some very good support groups there which will help you feel less alone. One is Dementia aware and it is wonderful. You should be offered support in your caring role from Devon Carers and your GP should also be able to advise you what other help is available. You are also entitled to some respite care to give you a break. I am sure you love your wife dearly and she you. Try not to blame her for her dementia, she doesn’t want it either. Look up ” Getting Along” by Damian ?? someone on You Tube. It may help you. A flower is a gift whether it is a rose or a daff and does it matter if your wife wants to call it a daff? No. Keep life calm and easy for you both,go along with what she says, no need to contradict her, even if you know she is wrong. It is all about finding the little joys you can still share and things you enjoy – Happy to listen anytime you need an ear. Hi Caron, well said to Stuart, (age 89) well done to him to embrace the a internet at his age. You are right to point out, that there is no point contradicting his wife when she gets confused about things, as it will only frustrate her further as I had found this with mum a few years ago, it’s best to go along with whstever she say whether you agree with it or not. It makes her happy and life easy. Good on you to point out future help with GP or other associates in his area, he does not need to feel alone and lost. It’s sure not a easy thing to do, especially for Men, but he must go forward and ask for help wherever he can. Such a shame about his neighbours/friends across the road not wanting to visit his wife and take a bit of pressure off him. I hope in 2018, he will have a better and peaceful life in dealing with his wife’s vascular dementia. We really enjoy your blog and how you passionately support the social care sector. We want to encourage more people to work in social care and have hundreds of exclusive UK social care jobs over at http://www.workinsocialcare.com. Thank you Kerry, the social care sector is facing an interesting time. With challenges come opportunity and the chance for a wonderful career when you can really make a difference. Lovely and informative blog, a real resource for carers and elderly people. You have a warmth which come through in your writing. 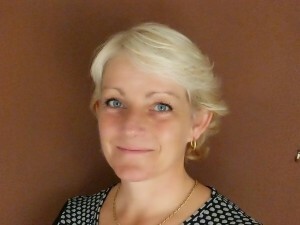 I’m Sarah from the Blue Badge Co, I look after the blog, social media and the copy on our website. Our range is a beautiful collection of independent lifestyle products in high quality fabrics and stylish prints which includes a wide range of stylish wallets for the blue badge parkig permit, wash bags, lap trays, wheat-warmers, folding walking sticks with bags, beanbag tablet stands, pill boxes and door stops. We like to transform the dull but essential items of everyday life into desirable, cherished belongings which speak to and represent the personality of their owner. Our products are stocked by major retailers including Argos, Boots, WH Smiths and The Post Office. I am writing to ask if you would be interested in featuring any of our products in a Christmas blog post such as a Christmas Wish List or Gifts for the Elderly for example. We have a new Christmas catalogue out now with some gorgeous, festive photographs. Do get back to me if you are interested. Hello Sarah, thank you for your kind words. I am indeed incredibly passionate about all I do here on Caron Cares and on social media as a whole. I would be delighted to promote your Christmas range and may be able to also get them featured in Devon Life who I also write for. Please send me your copy and some images and I will do this for you. I love your products and also wonder if perhaps we could work collaboratively on something new? I have a good following on social media and often have giveaways which are popular. If you could maybe consider doing something along these lines it would be good too. do you have a supplier name and number – i hope you dont think i am been rude but i think asking for two hundred would be…. Hi Darren, brilliant that you are thinking so far in advance. I get mine from Age Uk.orders@ageuk.co.uk – give them a go. Hopefully they can let you have the 200 you need. I stumbled across your web page and when i did i spent quite a while on it it is full of a great information and a good read . My partner and I are both pensioners and we needed the information we found with out knowing we really needed it . we will both pop back and read more. I am really pleased you like Caron Cares. I think in time more and more people will find it useful as we all age and need to find ways to help older people and carers. Do you manage to find what you don’t know you need easily? Hello Russell and please accept my sincere apologies in such a delay in getting back to you. Contact “Give Vision” and ask to trial the goggles. I wasn’t keen to be brutally honest and then they said they had sent out an older version to me. They were little more than a virtual reality headset with a samsung phone which mangnified/zoomed into objects. However, don’t take my experience too literally, try them yourself. I am from and reside in Manchester, Gtr. M/c. I have been searching the usual outlets for a walking stick holder to fit my slightly more thicker cane but to no avail, which has prompted me to reconfigurate your version. Would you be interested in the design? I would gladly forego any claim to the design? Yes I would like to see your walking stick holder, Thomas. I would not be able to do anything with the design sadly but there is a company called dropmenot who may be. Hi – I read your piece about veterinary costs for the elderly. I cannot offer a charitable offering but I set up the 1st online vet gift voucher scheme which allows the public to purchase a gift voucher towards their friend / family members vet bills. Vouchers are less brash that giving someone money towards a bill, ‘gifting’ is a more acceptable form. The business is quite new so I am working on gaining more vets to register but please take a look at the site. Thats a great idea Tammie- I love it. Most people don’t know what to buy an elderly person for Christmas. Note to self, add it to my blog post this Christmas. If you don’t mind I will pinch bits off your website and create a blog post. People with love this. My name is Sophy and I’m a student health visitor. As part of my training I have to implement a service improvement project. My idea is to give out room thermometers at the new birth visit in a bid to reduce the risk of Sudden Infant Death Syndrome due to overheating. I notice that you give out thermometers for free and was wondering who supplies you. I have approached the trust I work for but they say they don’t have the budget to finance the initiative. I know this is not linked to your extremely worth while cause and I really appreciate you taking the time to read this. Sophie, mine come from Age UK and are elderly related. I am more than happy to share them and send you some. Perhaps you could “doctor’ them and make them look baby appropriate. Let me know how many you would like. Young lives are also amazingly precious and as a parent to loose a child is an unbearable loss. Happy to help you. I am very sorry to read that you have had this experience and I will act on your suggestion and remove the article. It is a shame that something so useful as a stair lift has become a contentious issue. So many people have them and want them removed and so many people need them and can’t afford £5k, which is what some companies charge for them new. My name is Emma and i’m the home administrator at Watersdie House in Wednesfield Wolverhampton. Watersdie is a 60 bedded home that support the elderley that have Dementia. I love the idea of the point to sheets and feel that they could benefit the residents and the staff that work here. Could you possibly send some out to us please or feel free to contact me. I will send some out to you Emma. I could also email you the graphic. They work best on card and are more hygienic and durable if laminated. If I send you out 20 laminated ones to start with is that OK? I am self-funding so if MHA would care to make a donation, I could make more for you or they could buy a laminator (£15) and 100 laminate sheets (£10) and then everyone could have their own copy.They are so simple – I can’t believe no one has created them before!! I have submitted for a thermomitor card but not sure if you recieved it. Simpson NE40 post code. Please could you email me if you dont have the address. Many thanks. All done and will be in the post to you today. Caring for my wife who has cancer. Important to monitor room temperatures so could I possibly have 3 x thermometers please? That is so kind of you, yes of course. I will send extra ones for your colleagues too. I just wanted to ask where you sourced the image of the socks from that is used on this page – http://www.caroncares.co.uk/caron-cares/finding-it-hard-to-find-socks-to-fit-swollen-feet-and-ankles/ as we recently received a message from someone claiming to be the owner (we were using the image too) saying that they needed attribution for it to be used. We haven’t managed to find the source elsewhere online. Sorry to spring an email on you like this but as you can imagine we’re keen to get this resolved. Also, I think your website is fantastic and you’re doing a great job. Thank you for your kind words about my website. I tend to use google images as I am social cause and not for profit blog but I am sure this was one of Zemanta’s – a free to use site. Thanks for the heads up. I will pinch one off google !! Also could you advice on the best place to position the thermostate within my bedroom. Have tried to submit my details for one of your room thermometers but it doesn’t seem to do anything when I click the button. I would be ever so grateful for a thermometer to aid my case in getting the local council to replace our windows as it seems like inside is just as cold as outside and the council are dragging their heels! Maybe if I could send them some proof of how cold it gets then they may move a bit quicker as there are children in the house too! It will be in the post in the next few days. Hi Carol, I too am struggling with the page to receive a room thermometer fir my dad. A thermometer is on its way to your Dad, Ingrid. Hi i am the house manager at a over 60s develpoment. We have nine blocks so i wondered if you could send nine free therermomenter. That way i can put in every block so that it is at the right heat for the residents. Yes, of course. I get them free from Age UK who seem to forget to tell people they are available. I send them out at my own expense but sometimes I will get a £10 donation or someone will TIB me. Please visit my blog and Tib. You have two free ones.Where do I send them please. I am away until Fri week but will make a note . Hmmmn, I think I may have but just to be safe, let me have your address here please. It is private and safe. Apologies, I am unable to access the info as the security code goes to my phone. My phone is currently stuck overseas awaitng safe return. This means, I do need your address please. If possible could you please send me a free thermometer, I am 70 and am finding it difficult to know if my heating is at a safe level. Many thanks. Joy, it is going in the post to you in the morning. In the post to you. I filled out the “contact us” form with my details but clicking on “subscribe” didn’t seem to do anything. Posted a thermometer off to you today. Hi there, I would be grateful for one of your thermometers so I can give it to my uncle. I left my address in the form box – did you receive it? If not do email me if you can! Thanks! Hi caron. I was wondering if it would still be possible to get one of your thermometers? My partner has leukemia and our home isn’t very well insulated so I’d like to be able to keep an eye on the temperature. The thermometer is going in the post to you today. I hope you will find it and the guide to staying warm and well helpful. I have filled in my details and would be very grateful to receive a free room thermometer. Thank you . I am 71 and living with my partner who is 77 years old. Yours sincerely, May Fielding. You will have seen my email to you May, I need your home address please. I can’t see the details you provided, sorry. My fault not yours. I am trying to contact Pauline Paul Ltd to order some jore cushions that I bought at the NEC in Birmingham at the beginning of Nov. I have tried ringing her tel. number but it is cutting out quite quickly before you can leave a name and address can you help me do you have another contact number for them pse. Any luck with the new number I gave you ? I’ve been following you for a long time and really appreciate what a great job you are doing. You mentioned before that you’d have a look at ‘Call to Mind’… the board game designed specially for people living with dementia. I’d love you to include it in your Christmas gifts for the elderly guide. “It sparks conversation across generations. It’s a great way to get families and carers talking and finding out about each other. It encourages more visiting by addressing “I don’t know what to talk about” situations. Please have a look at http://www.call-to-mind.com I’d love to get your feedback. Thanks. Added to a forthcoming blog post. It will be reshared until Christmas. so I do not know the relative importance of this —I am just posing a rhetorical question. (5) The chair should be designed to accommodate a doctors’ instruction for the remedial process for “Cellulitis” problems*. the front of the chair should be capable of rising the legs to about 70° to 80° from the horizontal. (6) It is possible to get chairs with good looking urine resistant fabrics which are extremely warm, but these need the person to sit on a cushion as they cause excessive perspiration. (which should be of a switched type with neon indicator light). Unfortunately these “transformer-plugs” are often cheaply made in the far-east and sometimes have defective seals in the plastic body which give way after a few months use. This means that the old person using it can put their fingers/hand on the uncovered live electric terminals! Very interesting – this posts as a comment but I may use it as a blog post if that’s OK with you. Thankyou and I am delighted that you like Caron Cares. Fine with me! –yes, I DO like your site. —it is just that I am not familiar with where to put this sort of thing! Where does one normally post ” blogs’ on the site please? You can’t post directly on Caron Cares. If you would like to share your vast insight here please email me and I would be delighted to create a guest post for you. I would be most interested to learn about your commonwealth experience you spoke of at the ICL and also the scheme of local people offering care support that we discussed. Could i please ask for 4 thermometers if you have them Please. I am a carer for 2 of my elderly relatives ages 90 and 70, I check on my brother and his arthritic wife on a weekly basis and I am also keeping a daily eye on a 90 year old elderly neighbour so one of these will benefit her too. My name is Joseph White I am a Masters student studying Medical product Design at Nottingham Trent University. As part of a group project I am working towards developing a product or system with the aim to promote independent living for the elderly and further aim to reduce stress on care givers. To ensure that the project is well informed we have created a short online survey, aimed at identifying the key areas of concern for carers. We came across your Facebook group page and wondered if it would be at all possible to share our survey on there to obtain more results. On behalf of the group I would like to thank you for any help you may be able to provide, hopefully this project can lead to something that can help a lot of people. Hi Joe, I have shared this to my busy FB page Caron Sprake and will also share it on Twitter and my blog. Keep me in the loop please as I would love to follow your project. Lovely for a youngster to want to help carers. I attended the Future of Ageing conference in London yesterday and trust me, we have a care and carer crisis. Bless you Caron for your kindness for making it possible for this elderly lady to obtain a free room thermometer. I am dependent on electricity to heat my flat during the colder months and often have to choose between eat or heat when we experience a bitter snap. Carry on the good work dear, and thank you once again for helping out. I have a vocational history of working in the acute physiological sector of healthcare , and predominantly anaesthesia, intensive care and surgery where I have worked extensively in neurosurgery and neuroscience. Beyond that, I have life-long experience of mental health issues – in terms of looking after family members with dementia and other life-altering mental health conditions, and also enduring my own recurrent episodes of depression and enduring eating disorder. I have worked closely with mental health groups since the early 1980s and for the last three years I’ve also been a publicly elected Governor for a major mental health NHS Trust. Even as recently as the mid 1980s it was commonplace for dementia sufferers to be consigned either to long-term psycho-geriatric care or ‘dumped’ in care facilities wholly unsuitable to their needs. Although since the early 1990s there has been greater detection and understanding of the myriad forms of dementia, treatments remain largely elusive, but more shockingly, care of dementia sufferers has, and in parts remains, wholly unsuitable and inadequate, not just with respect to cognitive care and motivation, but even in tending to the most basic physical and emotional needs of persons with dementia who are frequently unheard and un-noticed. It has become the norm here for the most vulnerable people in society to generally be cared for by woefully trained, abysmally paid and unmotivated work-forces lacking leadership and guidance. This is changing, but has a long way to go. We must do more to change this. Key to this is ensuring that people do not end up in such facilities by default, but are given the information, advice and support, to maintain an independent life as much as possible in their own home or within other sectors of the wider community. To ensure they have contact with others, that they are stimulated when necessary and above all, understood, which of itself needs the public to be better educated and to this end I applaud the work of groups such as Dementia Friends. The diagnosis of dementia should not mean the end of a person’s life; we need to appreciate how very much of the person remains. If that person had broken a leg, then we’d be rather more pragmatic – send them to the orthopaedic specialist, fix the break and ensure that physiotherapy and social care is in place. Now we can’t as yet halt dementia, but we can collectively do so very much to stave it’s aggressive progress and to help sufferers enjoy a better quality of life and equally as important – a longer life in which to enjoy that state. That takes a sea-change in attitude from the public, society and support services. I’m off to a World Mental Health Day event today organised by the Arts in Libraries Service of St. Helens Council who recently won the National Lottery Award 2016 for their Cultural Hubs programme, which I am proud to have been a part of. We will be showcasing the artistic talents of local people with mental health issues, and this will comprise, this year, of art instillation, song, music, poetry and other forms of spoken word and dance. I have performed several times in our libraries in the past-in drama and as a stand-up comedian as part of the Stand Up To Stigma campaign which was lottery-funded and delivered in a collaboration between Time To Change, The Comedy Trust (Liverpool) and with the support of Cultural Hubs – the aim of that campaign was to break down taboos and inform the public mental health issues – both of others and the likely consequence of them experiencing their own. Now who’d have though a collection of anxious depressives with issues including OCD, self-harm and eating disorder could not only keep audiences laughing for a couple of hours, but also engage and inform. I would hope that other libraries and public spaces throughout the UK and beyond would undertake their own initiatives for mental health engagement. It shows, as with the wonderful works of CaronCares just how much can be achieved with a little thought and tenacious application. In addition to the entertainment on offer today we also have local mental health cohorts from the NHS, local authorities and charities etc – many with information stalls and a listening ear and useful advice. I will be introducing those who are not already aware to the services on CaronCares. Thank you John not only for your kind words about my work but also such an interesting and in depth comment. Stories video series would be of interest to your website’s visitors. Our aim is to spread awareness of great care through the distribution of our Care Stories video series and press release. Our first video of 5, tells the story of Victor, a World War 2 hero, pilot, violinist and boxer and his experience in a care home. Please read the press release here – it would be fantastic if you could share it on your website. We are a company that aims to give carers more time to care. Our focus is to eliminate admin and enhance care management to improve the lives of people who need care, and for those who provide it. From care managers to carers, we provide technology that empowers carers to do what they do best: help people they care for and enjoy the best quality of life possible. I’d love to talk to you further about getting the word out to your readers. If you have any questions or need any further information, please don’t hesitate to email or call me directly. Hello, I work for a small charity that helps people with fuel debt. We are holding a number of events for elderly people and would love to be able to give out some room thermometers and info leaflets. Could you point me in the right direction please. Hello Helen, I have replied to you via email but I get my thermometers from my local Age UK but if you email orders@ageuk they will be able to help you out for bulk orders. If you or someone you know has a printer at home you can make them yourself using this link . If not let me know and I will make some for you. If you do make them yourself, remember to click the 4 cards box so you make 4 per page not just one. I would be grateful if you would delete the this comment including my address details. I have removed your comment and address details. Many apologies and I hope you are finding your thermometer useful in this colder weather? You are very welcome. I have just checked my electronic thermometer to find my own house was cold ! Pot, kettle…. Thank you Dee. I look forward to meeting you there. I love your blog and have shared it on my FB . Many apologies for this, it was an oversight on my part. I obviously didn’t pay attention to my Pay Pal emails that would have alerted me to the fact you had paid. It will be in the post in the morning. Many thanks for bringing this to my attention. HI- I would like to find out more about the dementia assistance card- specially how one can order if they have no internet access. It is really easy to make the dementia assistance cards yourself. All you need is a computer or smartphone and a printer. Visit http://www.dementiaassistancecard.com and make some today. If you do not have a printer I can help. If you contact me using my contact form at the top of the website and let me know 1)The name of the person with dementia 2) the name of their emergency contact 3) the contact number of the emergency contact and lastly the address to send the cards to. I will make 4 cards and laminate them. I put holes in 2 of them so they can be used for tags, key rings etc and leave 2 plain. I also add two companion/carers cards. I hope this helps? Please help me spread the word about the cards they are totally free after all. Ive been trying to submit the form to receive a free room thermometer but the ‘Submit’ button doesn’t seem to work. The thermometer will come in handy in my parents room who are both elderly. Please can you provide me with a private e-mail/contact information to send you my address privately. Thanks for contacting me here at Caron Cares and for emailing me your address. I have posted the thermometer to you and you should receive it soon. Please add me to your favourites so you can visit regularly! Thanks Caron. Look forward to the news letter. The thermometer will be really helpful. I am pleased to be of help David. I hope you will enjoy the newsletter, I like being able to stay in touch with people and share useful ideas and info. Have you had a chance to read my “Wheelchairs by Wings” story ? You will find it at the top of the page at Caron Cares. Nice to hear from you and thanks for your interest. Help me spread the word. I am posting your free room thermometer in the morning. It also comes with the Age Uk ‘Spread the Warmth’ brochure which contains handy information. Truly a fantastic “one stop” for all that concerns me. Well done and congratulations for a very informative site. My mother has just been diagnosed with Vascular Dementia, she is also having to be my father’s eyes/carer – he is 94 and blind. Mum will be turning 88 this year. I am helping in every way that I can to make their lives comfortable and safe. I travel two hours to visit them every week and have no regrets either. I can not move them at present, until mum is ready to make this move. Then a two hour trip home for me at the end of the day. I’m in telephone contact daily with them. Grocery shopping I do online for them. This website has almost all the answers to the many questions I have. Thank you.